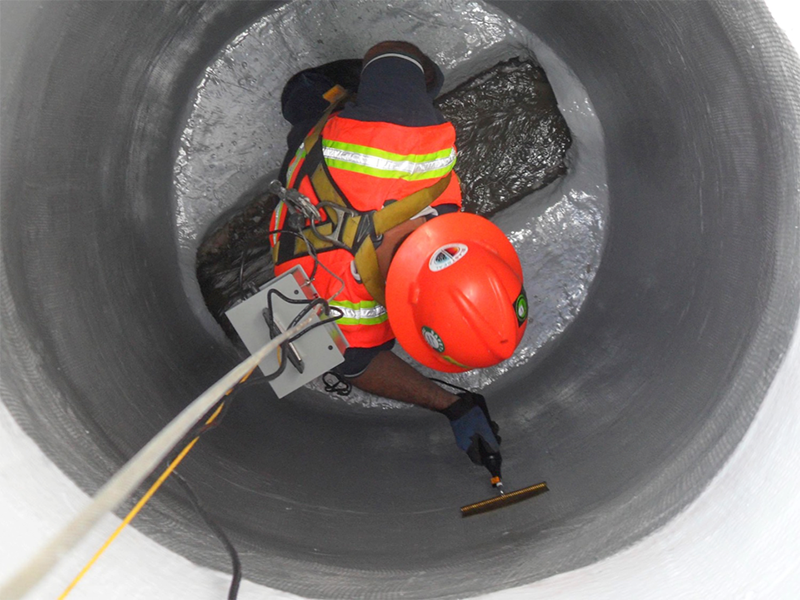 and surface cracking, while protecting your manhole from harmful hydrogen sulfide gas exposure. easy installation. 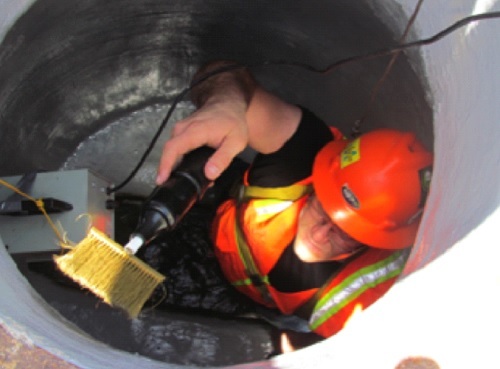 Following installation, the systems are tested until determined to be pinhole free. 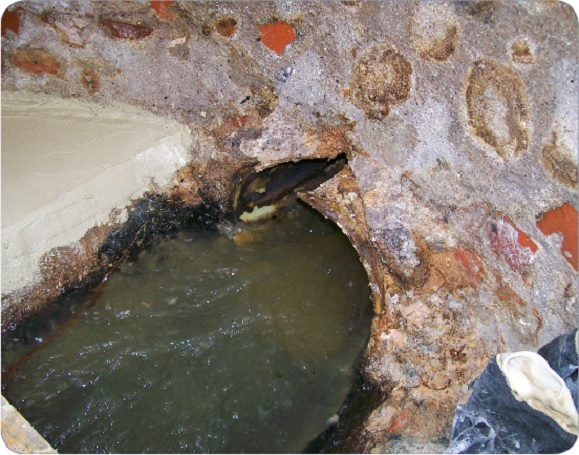 Hydrogen sulfide gas, present in most sewage systems, rises up the manhole shafts and interacts with the bacteria found on the concrete, producing sulfuric acid. 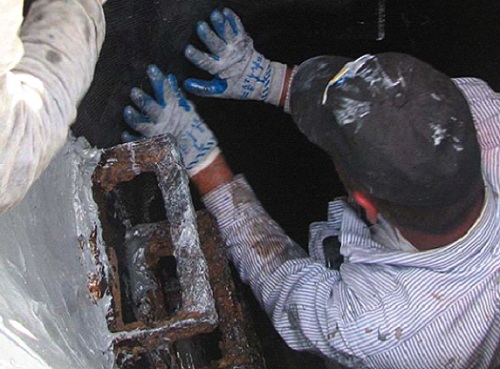 As the brick or concrete manholes degrade, spalling can occur. 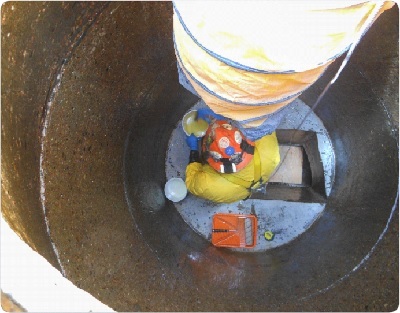 Not only is the structural integrity of the manhole threatened, but too much infiltration into the sewer system often leads to back ups and a costly shut down for clean up. 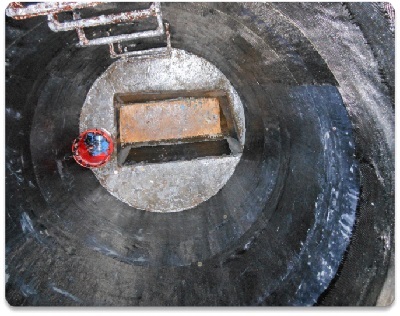 HJ3 removes degraded concrete, cleans the surface, and installs CarbonSeal quickset grout to resurface the manhole. 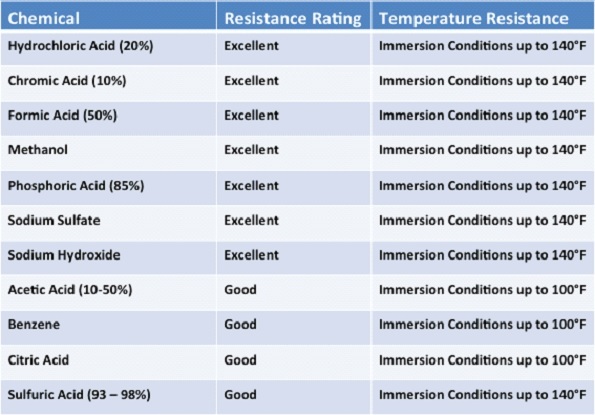 The CarbonSeal carbon fiber system is then installed to strengthen the surface to restrict future cracking. 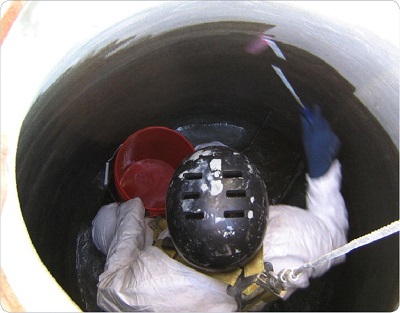 CarbonSeal topcoat is then applied to seal and protect the manhole from future chemical attack. 877-303-0453 or fill out the form.